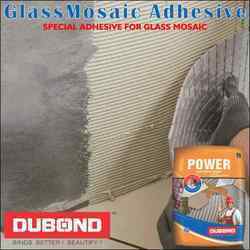 Dubond Glass Mosaic Tile Adhesive is cement - based, highly polymer modified, high strength, flexible tile adhesive for fixing vitrified tiles and glass mosaics in interior and exterior situations. Suitable for walls and floors. It is the best tile adhesive we are offering.This is used as Swimming Pool Tile Adhesive and water proof tile adhesive. Dubond's Power is a single part white adhesivei.e. functional for high resistance laying of ceramic tiles, Glass Mosaic & Homogeneous tiles. The tacking polymers provide deformability and fine finishing of the material affixed. specially designed for interior and exterior floor and wall installation of all types of glass mosaic, swimming pool, various water bodies. It can be used to clad glass tiles and natural stones/ artificial stones. 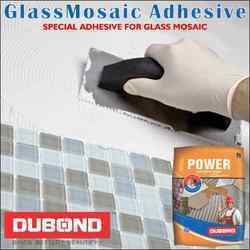 Glass Mosaic Adhesive for Interior & Exterior use. Dubond's Power is a single part white adhesive.i.e. functional for high resistance laying of ceramic tiles, Glass Mosaic & Homogeneous Tiles. The tacking polymers provide deformability and fine finishing of the material affixed. 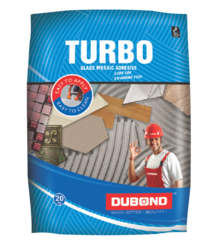 Dubounds's TURBO is a technical marvel of shock absorbent system (SAS) technology to produce a single part adhesive that has absolute insensitivity to the action of water, for it has binders and stable co-polymers with alkali hydrolysis. Turbo doesn't give up its bond even in the testing of high external pressure due to of water and also condition water seeps to the high adhesive layer thus it finds favor presence with laying professionals of swimming pools and various water bodies. 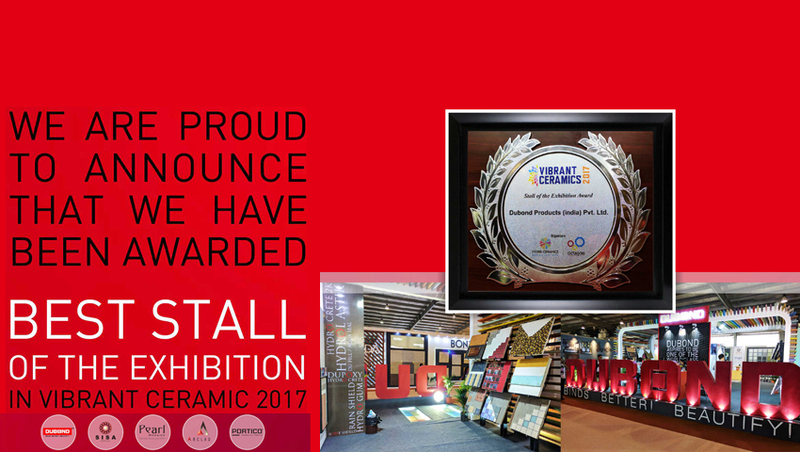 Designed for interior & exterior floor and wall installation of all types of glass mosaic. In areas that are permanently damp and subject to thermal shock and freezing. Very good for swimming pools and various water bodies. It can be used to clad glass, tiles and natural stones / artificial stones. paint, which must be totally removed. The substrate must be stable and without cracks, must have already completed curing hygrometric shrinkage and must present suitable mechanical resistance levels. Undulated areas must be corrected with suitable smoothing and finishing products. Smooth, non-absorbent substrates which are compact and wellanchored must be prepared by cleaning with products suitable for the type of dirt present. If chemical cleaning cannot be carried out, proceed with mechanical abrasion by means of shot-blasting or scarification of the superficial layer and, if necessary, correct the surface with suitable levelling products. On screeds and plasters which are highly absorbent and have dusty flaky surfaces it is advisable to apply one or more coats of HydroPrime a professional, concentrated water-base, surface insulation product, in accordance with the instructions, to reduce water absorption and toimprove spreadability of the adhesive.